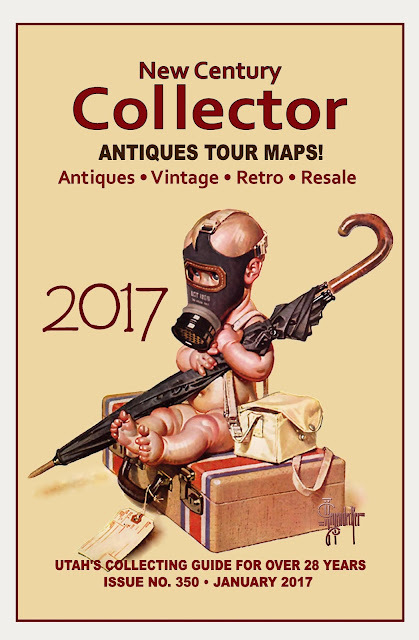 FIRST ISSUE OF THE NEW CENTURY COLLECTOR FOR 2017. JUST GIVE THE COVER A LITTLE CLICK, AND FIND OUT WHATS HAPPENING AROUND THE ANTIQUES SCENE DURING JANUARY. FOR THOSE OF YOU WHO LIKE THE SMELL OF FRESH INK.... YOU'LL BE ABLE TO PICK UP THE PAPER AT FOR FAVORITE ANTIQUES OR VINTAGE SHOP BY SATURDAY THE 31st.